It's Friday, and that means it's time to share some of my favorite things! How could I not start with this??? I mean, really. My parents have been building their dream home and finally got the keys to move in, yesterday. This, my friends, is their new view. Mt. 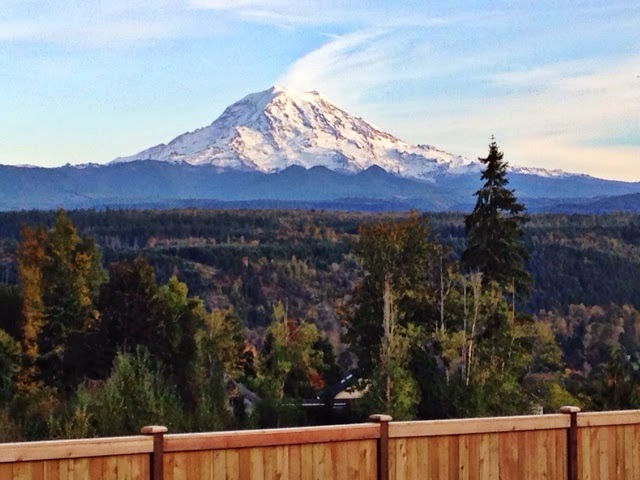 Rainier in all her glory. And even though it's a beautiful picture, it really doesn't do it justice--imagine the mountain looking much bigger! So hard to capture on an iPhone camera. We are so lucky and blessed to live in a state with this backdrop. I try not to take that for granted. My next favorite, is brussel sprouts. I'm pretty sure I've shared a recipe or two on here, but I could eat these every day! They totally get a bad rap, but are one of the most delicious vegetables!! Here, I sautéed them with olive oil and sprinkled garlic and salt on top. So yummy. If you are looking for a super easy project, here's a favorite. We made these in MOPS last week. You need a piece of wood, sand it down, primer, and then use chalkboard paint to cover it. Then, either use stickers or transferable letters (like we did). 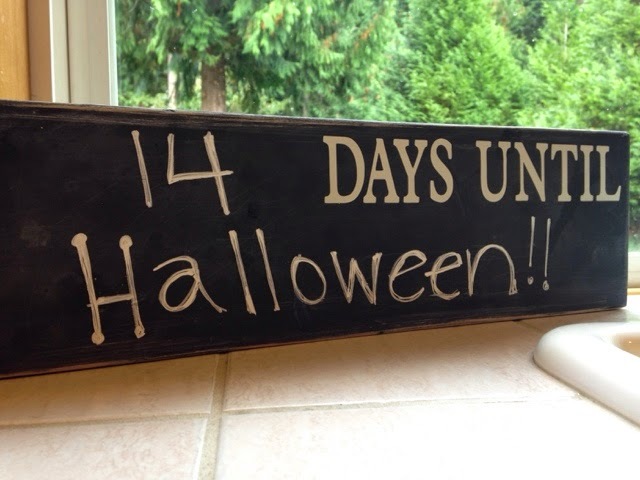 I have chalkboard markers, which make it really easy to change daily and seasonally. Our next countdown will be Thanksgiving, followed by HAWAII! 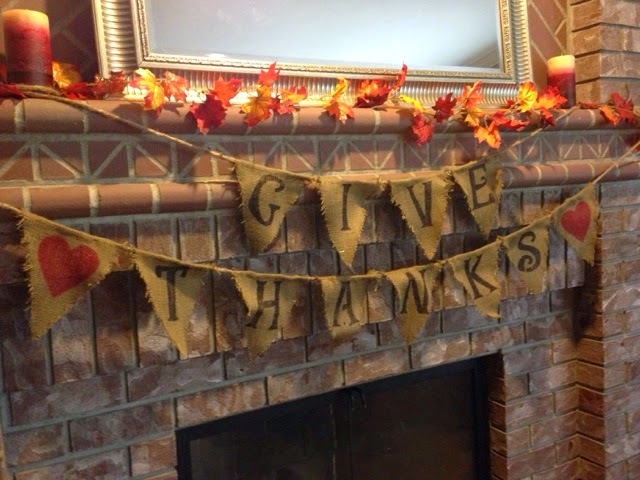 I love a good fall mantle. We are super limited with what we can do, because of the very narrow lip on our mantle, but I manage to do a few hanging items. One of my hopefully near projects is to redo our entire fireplace. I want a fresher looking brick and a big thick white mantle. Just dreaming a little. Okay, I'm sure I'll be doing more blog posts about these products, but I've recently jumped on the doTerra bandwagon and I've got to share a favorite, for now. 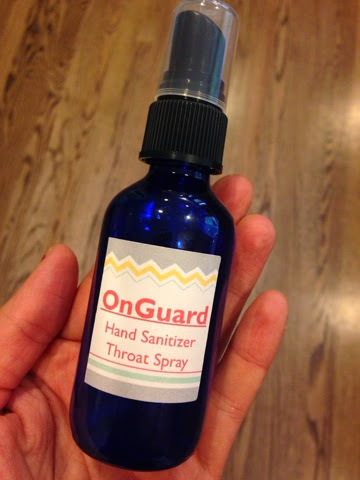 My friend put together these spray bottles of On Guard and so far, so good! The other morning, Jake came downstairs with a sore throat. I sprayed this in there and within 5 minutes, he told me his throat was feeling much better. I'm a big skeptic when it comes to this kind of stuff, but no denying when his throat is so much better that he can go to school. 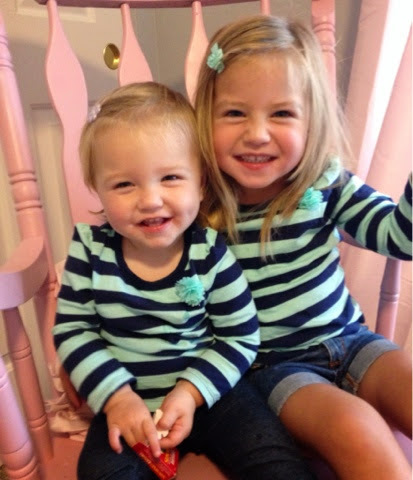 And how can I leave out some sweet, matching sisters. I'm a sucker for matching anything these days! I found these tops at Target for $5 and thought they'll be perfect for fall. Stripes are my favorite, too. Sweet, Sweet picture of your girls!!! And that is an amazing, frame-worthy pic of the mountains!! Just beautiful!! 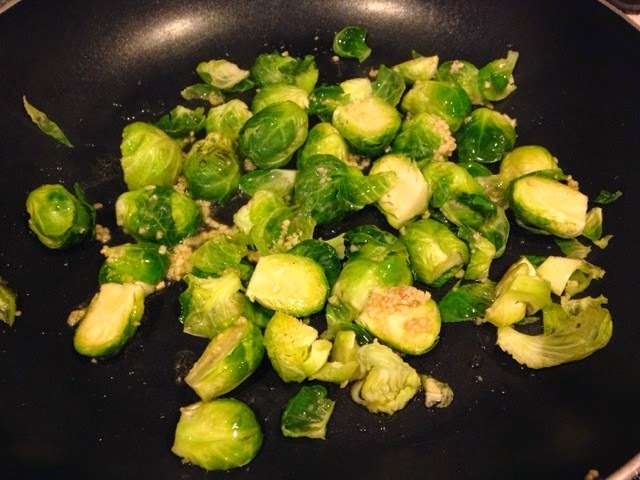 I didn't like brussel spouts as a kid but now I love them...gonna look for your recipes!! Hope your weekend's been great!! Your girls are toooo cute!